Find directory listings and information on Schools, Colleges & Universities for college search and top colleges worldwide in Dental, Drama, Nursing, Pharmacy, Beauty, Veterinary, Criminal Justice, Massage Therapy, Culinary Allied Health, Art, Architecture, Business, Language, Law, Religion, Science, Sports, Community Colleges, Medical, Online, Graduate, Undergraduate Schools select college majors and college degrees from top colleges in USA. Get updated information on application time table, recommendation letters, application essays, college admission FAQ's, application do's and don'ts, road to college, and other useful articles. We have resources to help students with career planning and successfully selecting their career path. Students can view over 600 targeted career videos to make informed career choices. In addition, we have a comprehensive suite of career tools to help students stand out in today's job marketplace. Make use of our extensive resource section to calculate your GPA; get access to college contact details, top 100 colleges, best online colleges, college radio stations, college newspapers and much more. Here are expert tips and hands-on college application essay do's and don'ts from Zack Homer, CEO and cofounder of Hello Essay. Homer and his team of expert essay editors are passionate about helping students' reach their potential by providing them with accurate, rapid, and ethical writing support. Find all of your information & resources on financial aid, eligibility, requirements, process to apply, EFC, FAFSA, CSS PROFILE, financial aid package/awards, SAR, student loans, Federal PELL Grant, college scholarships, work study & other college grants and scholarships for college. View our Tips & FAQs for Financial Aid & FAFSA. 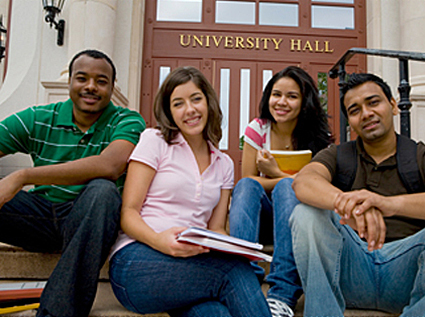 We cover a comprehensive list of standardized exam required for college admission. Students can get up-to-date test information on: ACT, ARE, AP, DAT, GED, GMAT, GRE, LSAT, MCAT, PCAT, PSAT, SAT, SAT Subject Tests and TOEFL. We have listings for online colleges including: Graduate, MBA, Community Colleges, Business Studies and more. In addition, students can also use our free online degree programs search by major, or by school/college /university name to find online college courses.